Williams Heating & Air Inc is proud to serve the Sparta community! About Sparta, IL - Happy to be your hometown Heating & Air Conditioning Contractor! Sparta is located in Randolph County, Illinois, and according to the 2010 census the population was 4,302. Sparta is known for being one of the main filming locations for the film In the Heat of the Night. This city is known as Magazineland, USA due to the presence of numerous printing plants that produced most of the mass-produced comic books in the U.S. This region is in a transitional zone between a humid subtropical and humid continental climate, and it has four distinctive seasons. 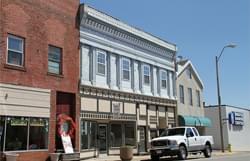 Sparta is home to a variety of attractions that may appeal to residents and visitors. These include the World Shooting and Recreational Complex and the Showtime Cinema. Art enthusiasts may enjoy the Misselhorn Art Gallery. Outdoor enthusiasts may also enjoy visiting Tom Reid Park, Brown-Stevenson City Park, and the Sparta City-Anna W. Brown Memorial.